A parliamentary inquiry will be held into the Shirley McKie fingerprint case, a Holyrood committee has decided. A majority of MSPs on the Justice 1 Committee backed the move after looking at a detailed defence from ministers of their refusal to hold a public inquiry. The committee has left open the possibility of hearing from the fingerprint experts who have continued to deny they made a mistake. Former detective Ms McKie was cleared of leaving her print at a murder scene. The committee had put a vote on the inquiry issue off last Wednesday to allow members more time to consider a 29-page Scottish Executive letter. It detailed more than 100 reforms carried out since the case on the recommendation of two official investigations. Ms McKie received £750,000 in compensation after she was cleared of leaving her fingerprint at the scene of the murder of a Kilmarnock woman. Mike Pringle MSP, deputy justice spokesman for the Liberal Democrats, voted with opposition MSPs. He said the terms of reference would allow the committee to look at the reasons for the misidentification of fingerprints in the case. 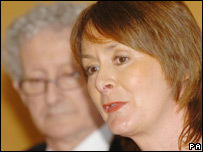 However, the committee's three Labour members, including convener Pauline McNeill, warned such a move would be seen as an attempt to run a full public inquiry under the "guise" of a parliamentary inquiry. "The minute we take a view that the reason for the misidentification or that there was no misidentification means that we are attempting to take a view about whether the court decision was right or wrong, and that is a given, " Ms McNeill said. "The court in the McKie case decided to accept the evidence that it was not Shirley McKie's fingerprint." But after more than an hour and a half of tense exchanges, the wide-ranging remit was agreed by four votes to three. Mr Pringle said: "The remit of this inquiry will be wide enough to consider how our justice system is working following the issues that were raised by the McKie case. "I look forward to the committee commencing on this important work, as we urgently need to restore public confidence in our fingerprint system." The SNP's Holyrood leader Nicola Sturgeon said: "I welcome this investigation as a step forward. However, a parliamentary inquiry is no substitute for a full public inquiry. "I believe that it will become clear as this inquiry proceeds that only a full public inquiry can get to the bottom of what went wrong in this case." Tory justice spokeswoman Margaret Mitchell said: "It is important to realise that this is not a substitute for an independent judicial inquiry, but clearly some of the evidence gathered here might reinforce the need for one." The committee has yet to decide who to call before it, but some members want to call the fingerprint officers at the centre of the row as well as either Shirley McKie or her father Iain. Ms McKie said she would be happy to give evidence to the inquiry. "All they have to do is ask me," she said. "I'll tell them exactly what they want to know and I'll tell them the truth. "This has snowballed out of control and now its very, very, very political which I think is correct." Her father added: "What we need to know is why this happened, not to look at solutions. That's why I'm pleased that this committee have decided to give it a backward look at things." MSPs will invite written evidence next week and begin considering potential witnesses at their next meeting. The first oral evidence session is expected on 26 April. The inquiry remit will consider both the past and present running of the Scottish Criminal Records Office - which produced the original report wrongly stating that the fingerprint found at the murder scene was that of Ms McKie's - and the Scottish Fingerprint Service. 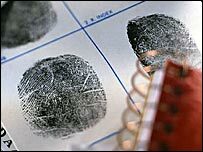 The committee will also scrutinise the implementation of recommendations of Her Majesty's Inspectorate of Constabulary's report of 2000, as well as the action plan announced by the justice minister for improvements in fingerprint and forensic services.